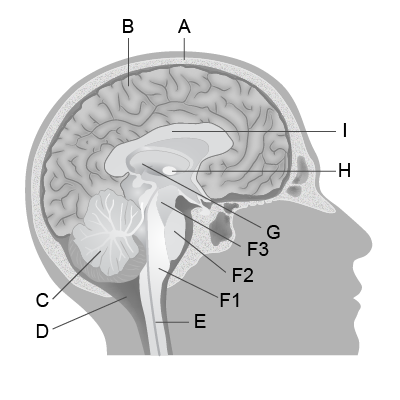 Name 3 parts of the brain and their function. The brain has the ability to process as fast as the speed of light. What is the control system for the nervous system? Which body part tells a batter whether or not to swing at a ball? Your controls every bodily function. What organ would you find in the cranial cavity? List 2 things that the right hemisphere of your brain controls. Which part of the brain is much larger in a mouse or rat compared to a human? What part of the body is the command center for the whole body? The is responsible for activities your body does automatically. The main organ, or control center, of the nervous system is the brain . At birth, a baby's brain is what percent of its adult size?